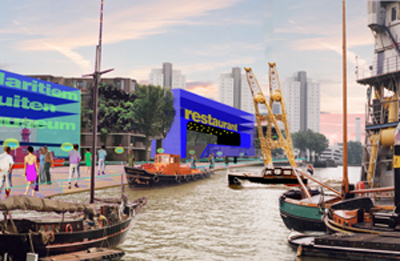 In April 2000 the city of Rotterdam expressed the wish of growing in the leisure market. 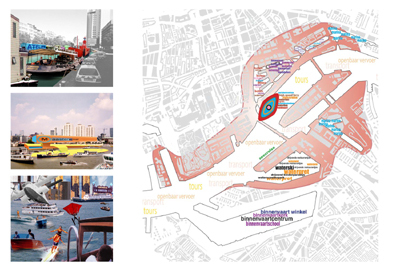 Several targets have been formulated among which the transformations of the old harbours into an innercity waterfront. 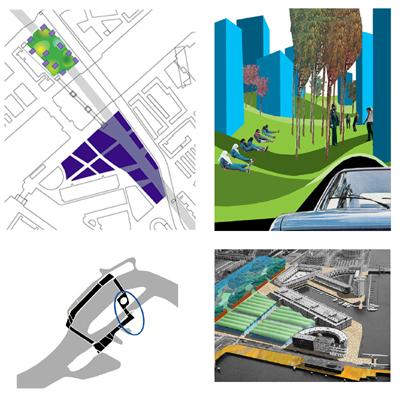 The urban planning department of the municipality (dS+V Rotterdam) asked Krill to do the design studies in a series of projects involving the support of three major project developers in The Netherlands. A second important goal of the waterfront project was to find out where the public sympathy lies. In several workshops with entrepreneurs from the area, all pros and cons of each possibility were examined and in a sim-city inspired game people could give their favorite lay-out for the Boompjes Boulevard, one of the key streets in the waterfront. After September 11th and the assassination of a populist politician in Rotterdam 8 months later all public and political support for large scale projects diminished and the project was abandoned.